The Pyramid Society is a Member Organization supported primarily by sponsorships, annual memberships and ongoing participation in member programs. Our central offices are manned by a small-but-mighty team of four full-time staff members, who work hand-in-hand with some extraordinary member leaders and volunteers across the world to carry out our mission of preserving, perpetuating, and promoting the Egyptian Arabian horse. We are located on the idyllic Kentucky Horse Park grounds in the National Horse Center complex, just 8 miles south of Georgetown, 10 miles north of Lexington, 15 miles east of Midway via I-64, and 35 miles north of Richmond via I-75. As an organization, much of our year is devoted to the planning and execution of The Egyptian Event, the world's largest showcase of the Egyptian Arabian horse, which takes place annually during the first week of June at the Kentucky Horse Park. 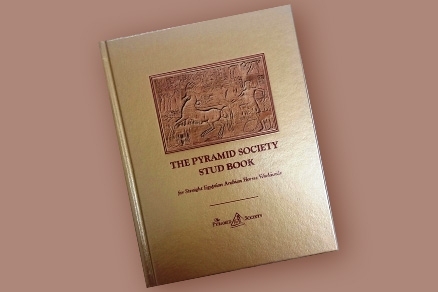 The Pyramid Society and its members also sponsor other educational and social events, such as the National Breeders' Conference, throughout the year at various locations, primarily in North America. The vast majority of Pyramid Society activities are made possible only with the help and support of member volunteers. If you are interested in future employment opportunities with The Pyramid Society or during our annual Egyptian Event, you may submit your resume with cover letter to us using any of the contact methods available by clicking here. The Pyramid Society will presently consider the hiring unpaid/minimally-paid Spring semester interns from area colleges and universities who are seeking academic credit only in the areas of Equine/Event Management and Marketing, Digital Media and Graphic Design, and Equine Business Administration. For details on possible positions and the requirements to apply, please contact us. Students: you must confirm with your school that an internship with The Pyramid Society would qualify for academic credit in your degree program. Member Volunteers are vital to the livelihood of The Pyramid Society. We encourage you to contact us right away if you are interested in serving through committee work or as a representative in your locality. We are pleased to provide any of our members with a variety of promo materials, such as Yearbooks and Membership Brochures, for distribution at shows, open houses, fairs, seminars and special events.